Immediately recognizable, the Princess and her beau have never looked cuter. The shaping is excellent, avoiding some of the blockiness which can come with chibi builds, and the attention to detail is impressive whilst staying with the chibi-aesthetic – those blasters in particular are spot-on. Luc has also had a crack at Darth Vader in this building style. 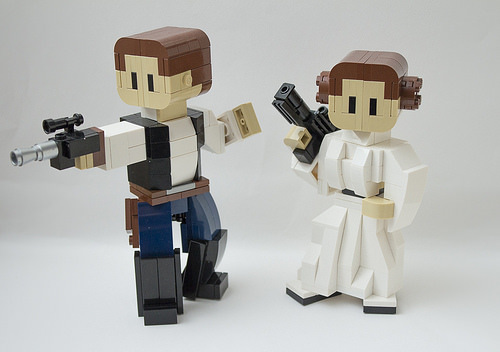 It’s good, but for me it hasn’t quite hit the sweet spot between recognisable, fun, and cute which really set the Han and Leia figures apart. I hope Luc keeps going though, more figures in this style would make me very happy indeed.